Pattie Wells is the premier wedding dance lessons San Diego specialist. She is one of the most experienced professional wedding dance teachers and wedding choreographers in the United States, with over three decades of dance experience. Pattie combines her background in music, dance and teaching to create a memorable wedding first dance for brides and grooms plus the special father-daughter and mother-son dances for the wedding day. With decades of dance experience for your wedding dance lessons in San Diego, Pattie creates everything from a completely choreographed routine to an easy, low stress first dance, or a father-daughter, mother-son or wedding party dancing with our affordable wedding dance lessons San Diego discount packages (see below). Pattie Wells has worked with hundreds of wedding couples, creating many wonderful memories of dancing at the wedding reception for brides, grooms and their families. Pattie researches the most popular, newest and classic songs for their wedding dance song. She collaborates with entertainment companies and photographers to assist you in creating an incredible wedding first dance, father-daugter, mother-son or wedding reception dancing. Pattie Wells offers a 1/2 hour phone consultation for wedding dance lessons San Diego, to help in selecting the best wedding dance lesson package for your wedding. Preparing for your wedding dance means choosing the right wedding dance song, dance style and wedding dance choreography to achieve the perfect wedding dance experience on your special day. 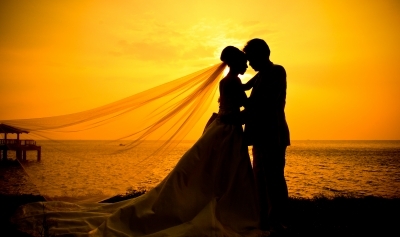 We pride ourselves in our long history of being the premier wedding dance lessons San Diego specialists! Whether you are a newcomer to dance or an experienced dancer, we are here to serve you with our FREE Wedding Dance Consultation. We can send our professional wedding dance info for everything you need to know about wedding dance lessons San Diego by email or do a wedding consultation by phone. Our wedding dance lessons San Diego program includes 20, 10 or 5 private dance lessons at a great discounted rate. Below we include some wedding dance lessons FAQ’s with answers to many common questions about the wedding dance lessons San Diego. Participating in the wedding dance lessons is great practice for couples on working together for a common goal, practicing tolerance, compassion, patience and how to cherish the success of one’s partner, as well as, one’s own success. The way couples learn together on the wedding dance lessons is a good start to accomplishing goals together in the future. The wedding first dance is an essential part of a wedding and a wonderful beginning to a successful marriage. How soon should we start our wedding dance lessons? It can be but this might take most couples several months of dance lessons and somewhere in the range of 20 to 30 private dance lessons to learn a choreographed routine. Many couples opt for a partially choreographed routine, which doesn’t require the commitment of time and as many lessons. No, but it is a good idea to pick out a song in advance. Sometimes couples find a favorite romantic song they want to dance at their wedding. We definitely can assist wedding couples in choosing their wedding song from lists of songs we already have in our database of music. Also, there are websites with lists of songs that are commonly used for wedding first dances. Generally, the wedding dance song should be between two to three minutes. If the song is longer it can be faded out on a CD or by a deejay. Some couples choose to let the song continue and invite their family and guests to join them on the floor. What types of wedding dance styles are best for our first dance? Most wedding couples select a slower, romantic style of music for their wedding dance. We recommend the slower dances like waltz, nightclub two step, rumba and foxtrot. If a couple enjoys a certain type of dance like Latin dance including salsa, merengue or bachata, those work well for weddings too. How do we choose a wedding dance studio and instructor? First search for dance studios that offer wedding dance lesson packages on the internet then check out their location. Do not take your wedding lessons in someone’s house or garage but rather choose a professional dance studio that offers a quality facility to take your lessons. Check out their website for wedding lesson information. Go and meet or call the a professional dance instructor and ask them about the lessons, the fees for the lessons and if there offer any wedding packages. You should have a good feeling about the instructor you choose and enjoy the first couple lessons or else try another place. Yes, if you have already chosen your music, bring it to your lesson on a CD or an Ipod or MP3 player, so your wedding dance professional can listen and choreograph your wedding dance to the music you have chosen. The most important thing in the wedding dance lessons is that you enjoy the lessons together. Let the dance teacher do the teaching, don’t teach each other. Also, remember to encourage each other since learning to dance can be stressful. The wedding dance lessons can be the start to a lifelong activity that you can enjoy together. This is a good time to learn how to work together, be patient and compassionate with each other, so that every aspect of your wedding dance and future is filled with joy. Does it matter if we are newcomers to dance? Newcomers to dance require more dance lessons to feel comfortable dancing their wedding first dance routine. There is an extra step of learning some basic dance fundamentals like lead-follow technique, timing and the elements of the particular dance genre you choose. For example, if you don’t currently know the basics for the waltz. Also, it takes longer for newcomers to learn a choreographed wedding first dance routine since they have less experience dancing. How many dance lessons total should we take to prepare for our wedding? Generally, couples take between 5 to 30 wedding dance lessons depending on if they want a simple, low stress wedding first dance, for instance, just do a little slow dancing or if they want a fully choreographed wedding first dance routine. On rare occasions, couples want to do a complicated mash-up and they are newcomers to dance, in which case, they may need to start 6 months ahead of time and may require 2 dance lessons a week to accomplish their goal. It is a good idea for the bride and groom to take a minimum of one dance lesson weekly but two lessons weekly is better, especially in the beginning to learn the patterns and techniques for a routine. Once the routine is learned there is a period of practice and polish when a couple may take less lessons weekly. How about the father-daughter & mother-son wedding dances? Normally, the mother-son routines are not very elaborate or spectacular routines since these should not outshine the bride and groom’s wedding first dance. On occasion, the father-daughter or mother-son choose to do a choreographed routine to a favorite song, in which case, the same things hold true as for the bride and groom’s dance routine. Often, the parent-child wedding dance is a simple slow dance, with a few turns including an entrance and exit. Does the wedding couple take all the wedding lessons together? We recommend they do most of the wedding lessons together but occasionally the bride or groom may want a few extra lessons on a particular movement they find challenging, for instance, they may want to do some extra work on the leading or following. Individual lessons might include some extra time spent on learning to turn, spin, lead/follow or spotting, which is a way to diminish getting dizzy while doing turns. Most wedding couples take all the wedding dance lessons together. Does the size of the dance floor matter? The wedding reception hall size, particularly the part that is used for the wedding dances, is important since it determines the type of dance genre that is possible for the wedding dances. For example, waltz and foxtrot are designed for larger rooms, whereas, rumba, nightclub two step and swing are designed for smaller rooms. Here are some approximate dimensions to consider when choosing a wedding reception dance space. It is a good idea to do the wedding dance lessons in a similar size space if it is available at the location that is chosen for the lessons. 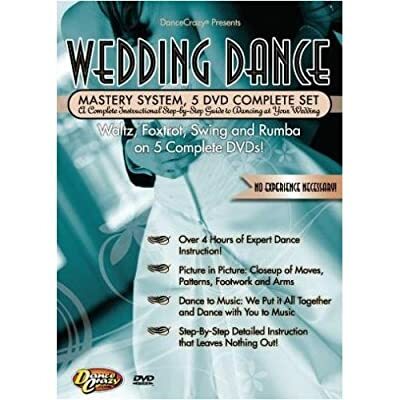 Is a dance background or musical training necessary to learn the first wedding dance? No, but more wedding dance lessons might be required for newcomers to dance. 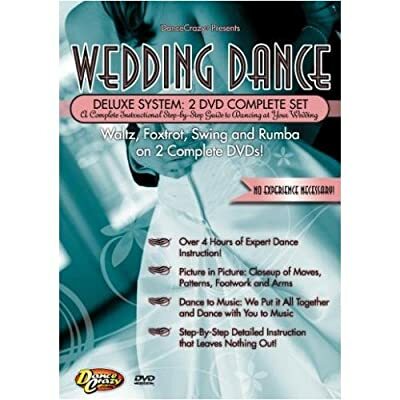 People with dance background will master a routine faster and hear the beats of the music without having to learn this on the wedding dance lessons. The majority of couples that take wedding dance lessons are not dancers or musicians and are still able to learn to dance everything from a simple slow dance to a complex mash-up routine with no problem assuming they take the lessons required to master their routine and are willing to do the necessary practice to learn and master the wedding dance routine. How do we hear the beats for the wedding first dance song? Listening for and hearing the beats is something that is covered on the wedding dance lessons, so the bride and groom will be able to dance on time to the beats of the music. It is a good idea to choose a song that has strong beats that are easy to distinguish if one is a stranger to listening to the beats in music. What about dance shoes for their wedding dances? Often, the bride and/or groom may switch from the shoes they wore during the wedding ceremony to shoes that are better for dancing for the wedding first dance, father-daughter and mother-son wedding dances. For example, the bride might choose lower heels and both might prefer leather or dance suede soles to make turns and spinning easier. 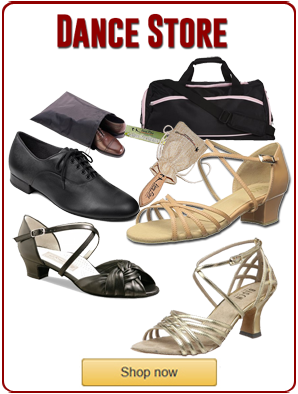 Ballroom, tango or swing dance shoes are a good choice since they are designed for dancing with either leather or dance suede soles and soft flexible uppers for comfort. What is the best attire for the wedding first dance? The wedding dress that is chosen does make a difference if it restricts movement like the size of a stride or doing kicks, etc. The bride should think about the type of dance she wants to use for the first dance and pick a dress suitable for the specific dance genre. If the dress is chosen first then a dance genre that works with the dress might be chosen. Grooms sometimes take their jackets off to do the wedding first dance depending on how well they can move their arms and the type of dance they choose. It is a good idea to wear part of the wedding attire or something similar on some of the wedding dance lessons or for a dress rehearsal to make sure that the wedding attire will not malfunction during the wedding first dance.